Our software moves your data. Secure. Easy. Fast. Projects? Tight schedules? Cost pressure? When it matters, you can rely on our solutions for fast and easy-to-use data transfer. For professionals. Made by professionals. Our engineers create software to simplify your live in always-busy IT departments. Too many Projects? Tight schedules? Cost pressure? When it matters, our solutions let your users and IT staff focus on the essentials. With TIXEL your are always ahead: with future-proof state-of-the-art technology our products have been proving their robustness for years. Used by small and large organizations around the globe in heavy-duty 24/7 operation. We provide clever solutions for secure and fast transfer even of massive amounts of data: ranging from turn-key file exchange services for transfers with customers and partners or in-house to individual customized systems. Be on the safe side. Accelerate and secure your data exchange processes and get the most of your valuable resources. Software for professionals. Made by professionals. Our software makes your life in IT easier: simple deployment, clear UIs, robust operation, clean logs, happy users. We think you should enjoy operating professional software. TIXstream MFT: Corporate Managed File Transfer: efficient, max speed, robust, secure. Built for carefree 24/7 operation in professional environments. TIXstream FX: File exchange for everybody: simple mailbox style use: flexible and fast in each notion. And if you like, fully integrated into your workflow. Transfer Acceleration: Simply fast. Software for transparent WAN acceleration of many TCP-based applications. 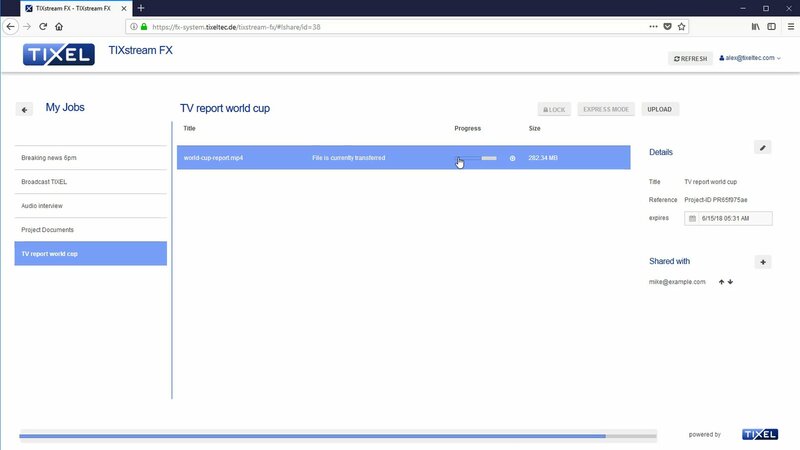 The broadcasters of ARD, First German Television, have implemented a new system for file exchange: Media File Transfer (MFT) 2.0. Continuously growing transfer volume as well as integration of various media types for radio, television and online requires a common, universal platform for file exchange. Seamless integration with various systems as well as media exchange based on a common metadata schema lead to some specific requirements regarding system design. 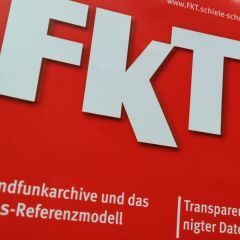 Technical Paper (in German): ARD Medien-File-Transfer MFT 2.0 (Teil 1), 1-2/2019. Managing continuously growing amounts of digital assets has become a challenge across all industries. Find out how to cope with these challenges and check out our new White Paper. Would you like to learn more about TIXEL software? Please let us know and we contact you for a demo session. Just submit your telephone number and we call you back. You can also call us directly at +49 511 1659600 at central European business hours.